Breakfast: Start your day with a bang by enjoying a hearty, inventive breakfast at Little Goat. Seeing as this is a diner helmed by Top Chef icon Stephanie Izard, you can rest assured that you won’t find your typical hashes, pancakes and omelettes here. Rather, buckle up and tuck into novelties like “everything” crumpets, sesame cheddar biscuits, sourdough pancakes, French toast topped with crispy chicken and BBQ maple syrup, parathas burritos and bibimbap breakfast bowls studded with cauliflower “rice” and guanciale. This doesn’t even cover the sweet pastries, milkshakes and desserts, but you might want to save that for another time if you’re gonna continue eating around the neighborhood the rest of the day. Lunch: Come lunch, see what all the fuss is about and follow the lines into Bonci, a pint-sized counter-service pizza spot from one of the world’s most revered pizza-makers. The tiny eatery features an ever-changing lineup of scissor-cut Roman-style slices, priced by weight and cut to customizable sizes. A far cry from your standard pepperoni or sausage, this stuff features seasonal toppings and beautiful, high-quality vegetables and sauces, all layered atop a crisp, airy bread-like crust. Pick-me-up: At this point, it’s pivotal to keep the party going and stay energized. You can do so by hurling ice-carved shot glasses at a giant bell at Federales. This raucous Mexican bar and eatery features plenty of tequila drinks, shots and snacky items like chips, salsas and tacos to keep fueling your day-long binge. For food, keep it light by sharing some spicy fruit ceviche and maybe some queso fundido. In addition to margaritas aplenty, the cool thing to do here is an ice glass shot. Various tequilas are served in ice-carved shot glasses, which you can throw at a giant bell once you’ve consumed them. Cocktail hour: Whet your appetite for dinner with a cocktail stop at Moneygun, a dreamy and dark corner bar with a refreshingly simple menu anchored by a bevy of classics. 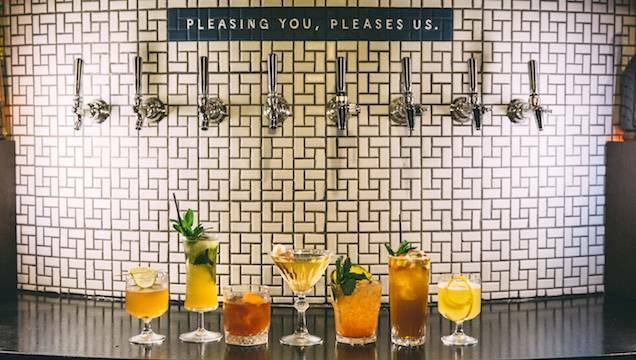 It’s the rare place where you can cozy up to a booth and enjoy a well-made Long Island Iced Tea, a Dark & Stormy, a dirty martini, a piña colada, a Cosmo or a Cuba Libre, all under one roof. And that’s just the tip of the iceberg. If the weather’s nice, mosey over into the large back patio, which is equipped with a bocce court. Dinner: At this point, you’ve hopefully made reservations for dinner, as pretty much any restaurant in the neighborhood gets clamorous come 6:00 p.m. And if you’re going to make reservations months in advance, make them at Monteverde. 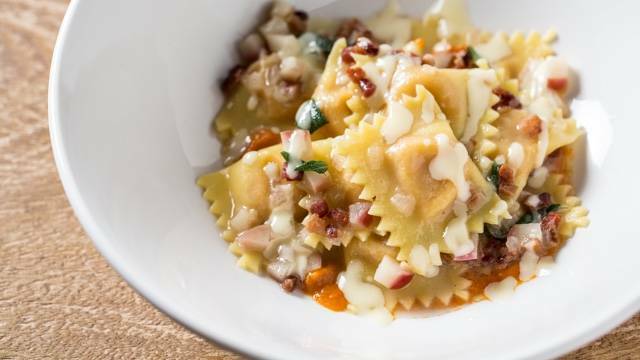 This pasta palace is revered for good reason, with its laudable lineup of fresh, handmade pastas enrobed in rich sauces and tossed with bracing ingredients. Start with the skate schnitzel and smoked fish rillettes before progressing into wok-fried arrabbiata or cacio whey pepe, a bucatini dish with pecorino, ricotta whey and a four-peppercorn blend. Dessert: The sweets at Monteverde are wonderful and all, but you’re going to want to save room for the can’t-miss confections coming out of the immaculate kitchen at Proxi. Here, star pastry chef Sarah Mispagel shines with desserts inspired by different international cultures and strewn with bright, seasonal accompaniments. Get the silky-smooth avocado mousse with tapioca pearls, pandan leaf, grapefruit, cocoa nibs and coconut, or the tres leches cake with cajeta, mango and meringue. If you’d like to just keep it simple, the mochi ice creams and sorbets are always riveting as well.